Aromatherapy offers a multitude of benefits. By harnessing the therapeutic properties of essential oils, aromatherapy can be used to promote wellness and overall good health for mind and body. With an essential oil subscription you can use the essence of lavender to calm and relax, eucalyptus oil to treat infections, and peppermint oil to release tension and ease headaches! We’ve rounded up a dozen of our favorites so you can find the aromatherapy subscription box that’s right for you. Filled with organic essential oils, incense, candles, oil diffusers, and much more, both newbies and experts can get in on the aromatherapy action. What's Included: Essentially Simple Box is a DIY aromatherapy subscription box that leaves the crafting up to you. Each month’s box sends 1 full-size, therapeutic-grade essential oil, plus additional supplies and recipes to make 3-5 handmade natural body and wellness products. With easy-to-follow instructions, create all-natural and non-toxic products for body and home. What's Included: Create a sacred space that combines spirituality and modern aesthetics with the Frisky Fish subscription. Packaged elegantly in eco-friendly boxes that showcase original artwork, each month delivers 3 full-size products, including essential oils, crystals, palo santo, jewelry and other spiritual tools. 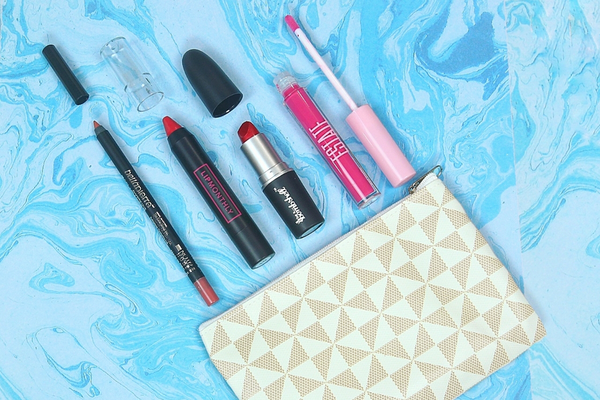 Awaken your spiritual side with the high-quality, vegan and cruelty-free products packed inside. What's Included: Make the transition to a toxin-free lifestyle a breeze with My Lemon Crate. Choose from the DIY or Non DIY Crate to get either the ingredients and recipes or the finished products that allow you to replace 4 or more everyday products with natural alternatives. Focusing on high-quality products that are good for people and planet, this subscription helps a community of consumers discover how easy it is to live a life filled with natural wellness. What's Included: The stresses of the daily grind can lead to feeling rundown and leave you low on energy. Strike a balance by making self care a monthly priority with Tasu. 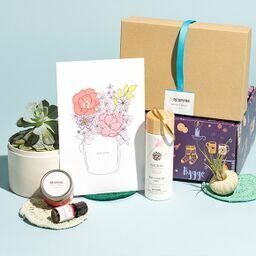 Filled with items to promote relaxation, each themed box sends 4-6 thoughtfully chosen items like calming essential oils, tea, healthy snacks, books, skincare and more. It’s the perfect way to treat yourself or a loved one to a well-deserved day of rest. What's Included: Sending out a monthly dose of natural revitalization, the Orange Peel Box delivers 2 organic essential oil blends, plus 4-6 aromatherapy products including jewelry, diffusers, misters, hair care products, shaving foam, soaps and more. Created by expert aromatherapists, each product is made from 100% organic plant ingredients, allowing you to benefit from the power of plants. What's Included: Head to ‘Essential Oils 101’ to learn about all things aromatherapy with the Magick Moon monthly subscription. Designed to teach about the world of therapeutic essential oils, each box includes a 10 ml bottle of the Essential Oil of the Month, an information card describing the oil, including its recommended uses, history, recipes and fun facts, plus 4-6 products made with that month's essential oil. Get in the know while building a collection of useful essential oils. What's Included: Curated by a certified RN, Natural Bath Botanicals is a bath box focused on relieving pain points and improving sleep. Each box contains artisan-made, cruelty-free, organic bath products that use homeopathy and aromatherapy to deliver results. Improve circulation, decrease pain and muscle fatigue, and reduce anxiety, as these specialized bath products provide relief from what ails you. Great for anyone suffering from a chronic health condition, relax away stress and create a healing environment for your body. What's Included: Detox your skincare routine with the goodies packed inside the Vegan Organic Essential Oil subscription. Each month's box features 2 full-size USDA Organic Certified essential oils, like lavender and tea tree, that can be used to craft non-toxic DIY skincare products, and help eliminate synthetic chemicals from your life. Not into DIY? Go for the Natural Skin Care box to get 3-4 body and home products featuring top-quality organic essential oils. What's Included: Essentially Oiled is dedicated to delivering the information needed for you to competently use essential oils for natural home remedies. Each monthly box aims to educate by providing information, accessories and tools, along with a DIY kit to help demonstrate how to use oils in your everyday life. Take your existing collection of essential oils to the next level by learning the intricacies of aromatherapy. 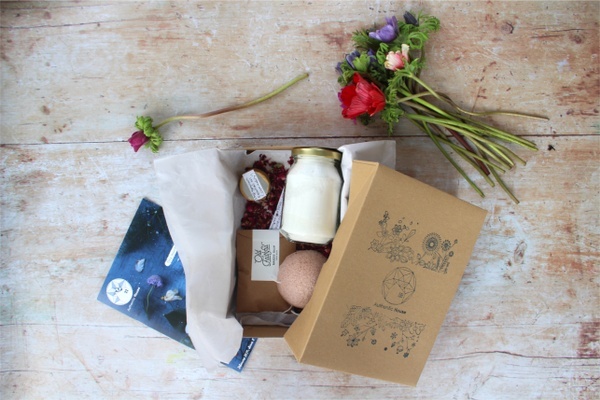 What's Included: Crafted with amazing scents by Purple Peacock Candles, The Incense Box delivers the goods, sending a supply of handmade incense sticks, soy candles, bead sachets and more each month. Created from all-natural, earth-friendly, vegan ingredients, each of the 3 subscription levels packs rich new scents each month to fill your home with happy, healthy vibes. 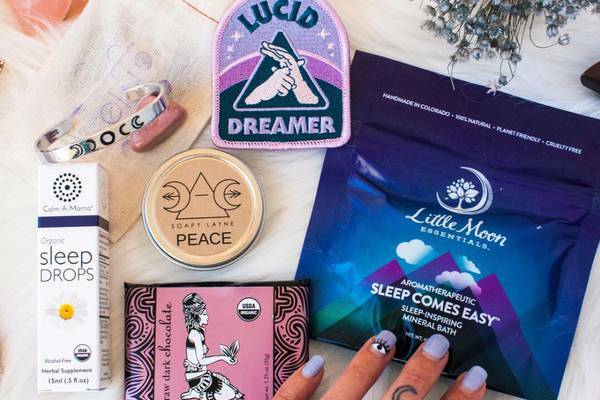 What's Included: Treat both your inner and outer goddess to nothing but the best with an essential oil subscription box like Goddess Provisions. Thoughtfully curated to enhance spiritual practice, each monthly box includes 5-7 full-size items, including 100% vegan and cruelty-free apothecary beauty products, superfood snacks, crystals, aromatherapy and essential oils, teas, books and more. Didn’t find the right essential oil products for your aromatherapy routine?